This beautiful Star Wars Rebel charm bracelet is available from Etsy seller Glamorously Geeky. 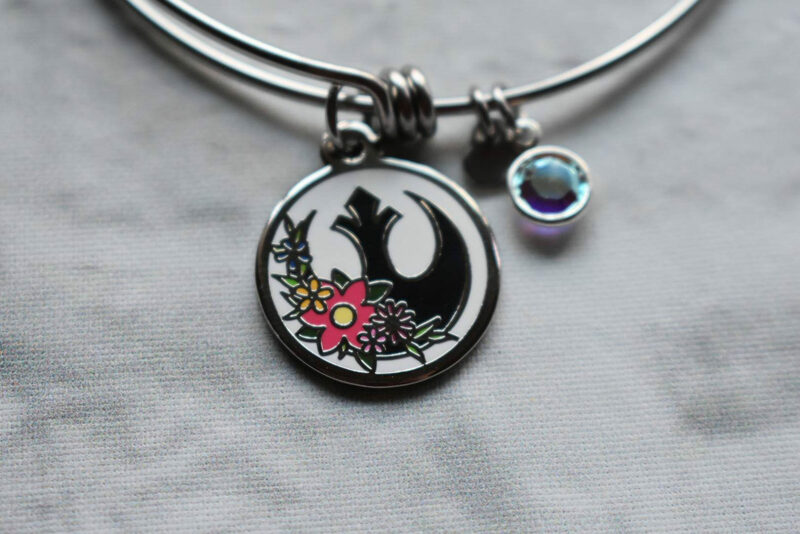 The silver-tone expandable bracelet features an enameled disc charm with the Rebel Alliance ‘starbird’ symbol, with a lovely cluster of flowers. The bracelet also includes a small rhinestone gem charm, for a little touch of sparkle. Such a beautiful design! Bracelet and small charms made from stainless steel. The enamel charm is nickel plated with hard enamel image. The bracelet also includes a swarovski crystal charm and a small heart charm. They are expandable, so they can fit most wrist sizes. 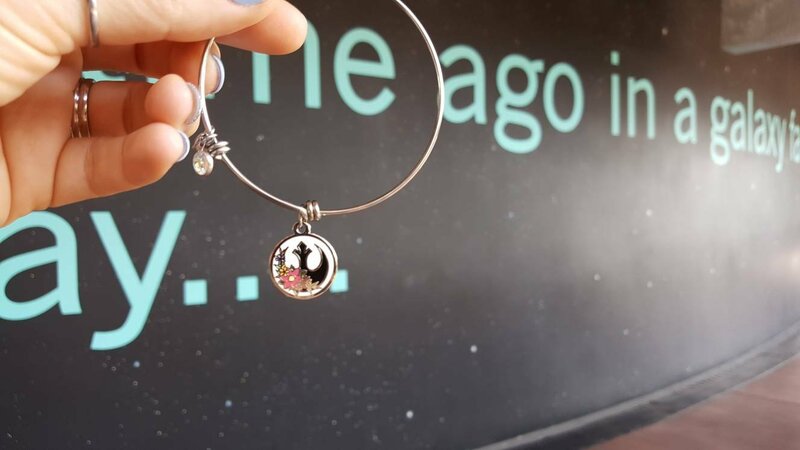 The bracelet is priced at US$18.50 each – Glamorously Geeky can ship internationally. Photos sourced from and belong to Etsy/Glamorously Geeky.